National Park Service – Withhold your approval of Dynegy’s project! Governor Pritzker – Tell Dynegy to MOVE ITS ASH! - National Park Service – Withhold your approval of Dynegy’s project! - Governor Pritzker – Tell Dynegy to MOVE ITS ASH! 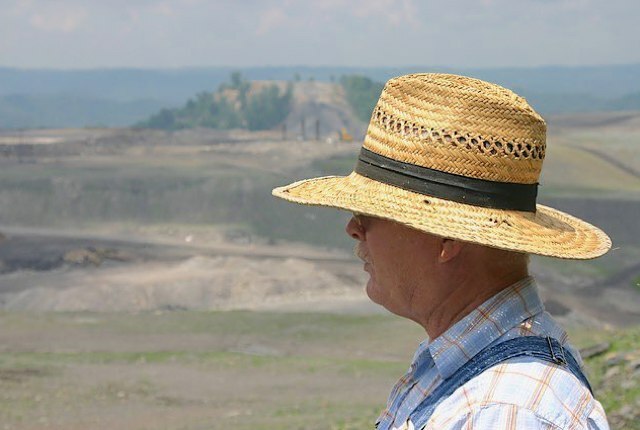 - What Is Coal Ash? Larry Gibson, Keeper of the Mountains, is coming to Chicago! Join Eco-Justice Collaborative at Loyola to welcome Larry Gibson as he talks about mountaintop removal mining and the extractive industry. He will share his recent experiences traveling with Amazon Watch. The purpose of this trip was to learn from and connect with community leaders who are fighting for justice in their communities, much as he is in Appalachia. Indigenous Nations in the Ecuadorian Rain Forest have been poisoned by the massive oil drilling operations that Texaco, now Chevron, undertook to profit from their people. Junior Walk, Coal River Mountain Watch. Junior will share his experiences growing up in the coalfields, and explain why he decided to stay at home to participate in the ongoing struggle to end mountaintop removal mining (rather than leave the area for a college education). Ian Viteria, Little Village Environmental Justice Organization. Ian will talk about the impacts of burning coal felt in his community, and the campaign to clean up or shut down Fisk and Crawford, Chicago’s coal-burning power plants. Pam Richart, Eco-Justice Collaborative. Pam will talk about Illinois coal extraction, making the case that Illinois, with its large reserves of high-energy coal, is slated to be the next Appalachia. Impacts from coal mining already include destroyed farmland and forest; polluted water; coal slurry impoundments and slurry injection into abandoned mine shafts and displaced communities. If you live in Chicago, this is a great way to learn about the impacts of extractive mining and what you can do to work for a sane energy policy. Watch our website for details as they are available. Contact Pam or Lan at ejc@ecojusticecollaborative.org with questions. A People’s Hearing: Pass the Chicago Clean Power Ordinance!